There was a time when reptiles, including dinosaurs, dominated the earth. Crocodilians (alligators, crocodiles, caimans and gharials) are the sole survivors from the ruling age of reptiles, dating back to the Mesozoic era. They still have long bodies, big mouths full of sharp teeth and huge tails. In their environment, they are the top-ranked predators in the food chain. Early Spanish explorers who encountered the large, lizard-like reptiles in the southeastern United States named them "el lagarto," meaning lizard. Later, the English settlers called them "allagarto," paving the way for today's term of "alligator." The American alligator (Alligator mississippiensis) is found only in the southeastern part of the United States with the highest populations found in Florida and Louisiana -- a much smaller part of its former range, due in part to change in climate. Alligators can be found in a range of habitats, including marshland, swamps, rivers, lakes and ponds. Alligators are often referred to as "cold-blooded" animals, a literal term, as they cannot automatically control their body temperatures. Being cold-blooded actually is a survival tactic because they don't need to eat as much or as often as their warm-blooded counterparts. These reptiles are covered with scales or other hard, protective plates. The crocodilian skull has two holes behind the eye socket that serve as attachment sites for muscle, enabling crocodilians to extend the muscles while exerting literally tons of pressure on their prey. Yet surprisingly, the jaw muscles are weak and can actually be held together with a thick rubber band, a fact that has been skillfully exploited by the Seminole and Miccosukee Indians during their alligator-wrestling shows. Five long toes on their front feet provide alligators with firm footing on land. Their webbed back feet have only 4 toes, which help them steer in the water. Alligators are armed with 80 potentially lethal teeth, shaped like cones, making them perfect for both grabbing and holding onto prey. Below each tooth is a replacement tooth that will appear when the primary tooth gets damaged or worn. However, the teeth aren't suitable for chewing; alligators swallow their prey either in large chunks or whole, depending on the size of the prey. The alligator diet consists mostly of fish, turtles and snakes, although they have been known to strike an occasional small deer, wading bird, raccoon or even small pets. Because they are both crocodilians, alligators and crocodiles look alike and can confuse people about which species they really are. To tell them apart, most people look at the snout. Alligators have a broad and short snout in comparison to the crocodile's long and pointed one. Alligators spend most of their lives in fresh water and need subtropical climates in which to survive, whereas most crocodiles thrive in tropical climates in brackish or saltwater environments, such as parts of Africa, South America, southeastern Asia and Australia. Florida is unique in that it's the only place in the world where you can see both alligators and crocodiles in the same place: the Everglades. Alligators come up to land in the morning to bask in the sun's rays. As the sun becomes stronger midday, alligators retreat to the water to prevent overheating. Then, they bask in the late afternoon sun before returning to their sanctuary in the water overnight. Following winter hibernation, the females emerge and are courted by males during the months of April and May. Then 2 months later, the female constructs a mound nest where she lays her eggs (anywhere from 10 to 70) and then covers them for about 65 days to incubate. The mother alligator is always nearby, guarding her eggs from other predators. Amazingly, when she hears the hatchlings emerging from their shells, she digs them out and carries them in her powerful jaw out to the water. Because of their highly colored hides at birth, newborn alligators can be seen quite easily by other predators. Their small size, approximately 10 inches long, also prevents them from being able to defend themselves, in spite of their tiny needlelike teeth. They are, however, capable of making a loud chirping sound that usually brings immediate assistance from the mother. Only one in 10 alligators actually lives to its first full year. Baby alligators usually stick together in small groups called "pods" for the first 2 or 3 years. If they survive that first year, they will continue to grow quickly up to the age of 6. Alligators grow less the older they become. The average life span of an alligator runs about 40 years for those in the wild, compared to 50 years for those in captivity. One captive alligator at the Cincinnati Zoo lived more than 70 years, but that is definitely not the norm. A record length for the alligator species, recorded during the 19th century, measured 19 feet; however, today's big males rarely reach 14 feet. During the dry season, alligators dig deep depressions or holes into the muck of the marsh that then become small ponds or "gator holes." These gator holes provide safe havens for not only alligators but other aquatic wildlife, and become a part of the local landscape as habitats. Then in the wet season, the wildlife preserved in the gator holes actually provide the seed stock for replenishing and repopulating the rejuvenated marshlands. Because of this interesting cycle, alligators often have been dubbed the "keepers of the ‘Glades." Florida at one time had an abundance of alligators, and even though their numbers are a fraction of totals from 150 years ago, they are still found throughout the state. The commercial slaughter of American alligators for their skins to make boots, shoes, belts and bags reached its peak after the Civil War, and it continued into the early 1900s. Fifty years later, alligator populations had been almost wiped out. 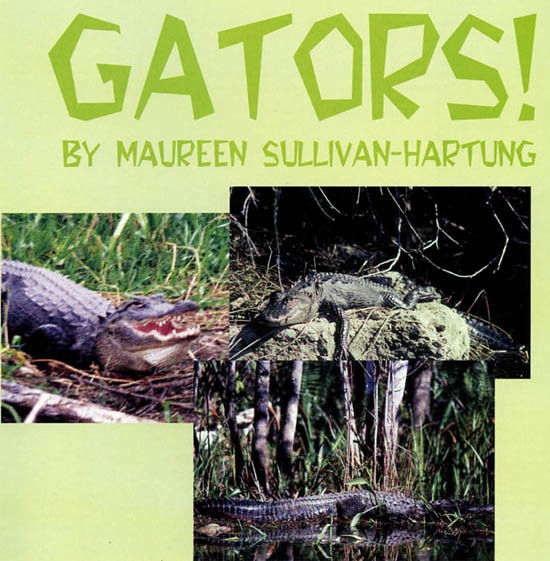 Poaching alligators was widespread during the early 1960s. Then in the 1960s and 1970s, both national and international protective measures were introduced to allow the species to recover. The commercial alligator industry today is well regulated following the passage of the 1973 Endangered Species Act, which gave mandatory protection to both alligators and crocodiles throughout the United States. The greatest threat today to alligators is the changes to existing areas of their habitat. That is, water management practices have been found to lead to declining numbers of alligators, creating flooding in some areas like Everglades National Park, while other areas in northern Florida are in near-drought status. Fortunately, alligators no longer have endangered status, simply because of protective measures; however, they are still listed as threatened. A growing number of alligator attacks on people and pets are being reported, particularly in Florida as population growth and development continue. Educating the public about these creatures is an ongoing task for biologists and activists. One of the most important things to know is that if you see an alligator in the wild, leave it alone. Alligators should be respected, not feared. Don't feed or touch wild alligators -- it's against state law. The Florida Fish and Wildlife Conservation Commission is working to convince both residents and visitors alike that people and alligators can co-exist peacefully as long as we respect their presence as an integral part of the Florida wetlands; alligators keep other species of animals in check by hunting them, which is an essential part of the ecosystem. Unfortunately, accidents do happen, often resulting in deaths; however, there have been only 9 fatal alligator attacks on humans in Florida since 1972. Only a handful of minor attacks occur each year. Wildlife biologists emphasize the fact that the vast majority of alligators never attack humans and that most of the attacks on humans don't result in deaths. Humans are both awed and fascinated with alligators, yet it is now up to wildlife biologists to decide how best to manage alligators that are increasingly being overrun by humans. Alligators are here to be studied, watched, preserved, protected and respected as survivors of the dinosaur age. 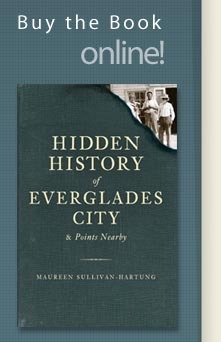 Maureen Sullivan-Hartung is a freelance writer and nature lover who has lived in Naples for the past 20 years. Her work has been published in numerous magazines throughout the state of Florida.